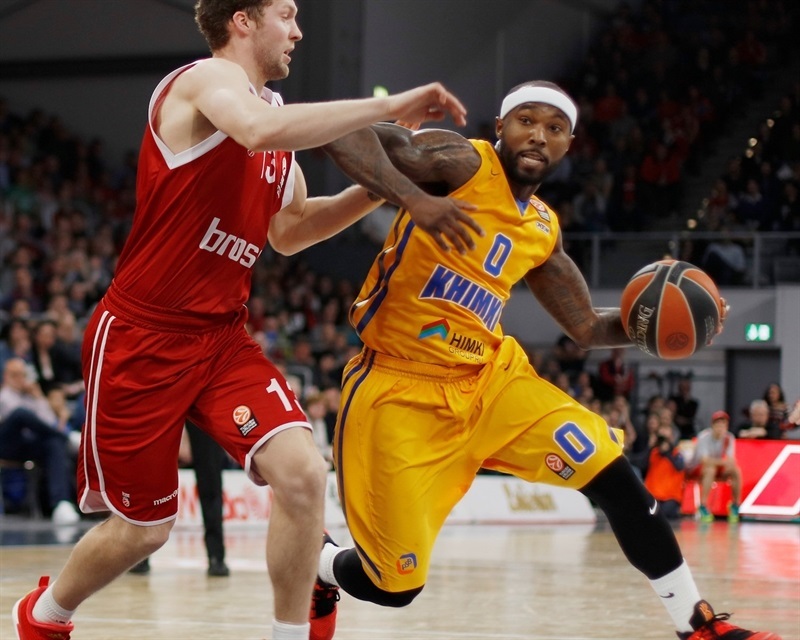 Wanamaker leads Bamberg to comeback thriller over Khimki! 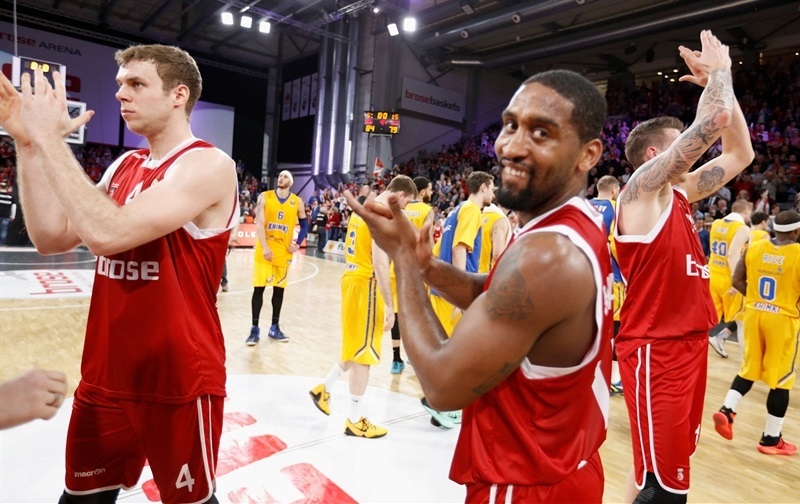 Bradley Wanamaker scored 18 of his career-high 25 points in the final 5 minutes of the fourth quarter to rally Brose Baskets Bamberg past visiting Khimki Moscow Region 84-79 on Thursday. 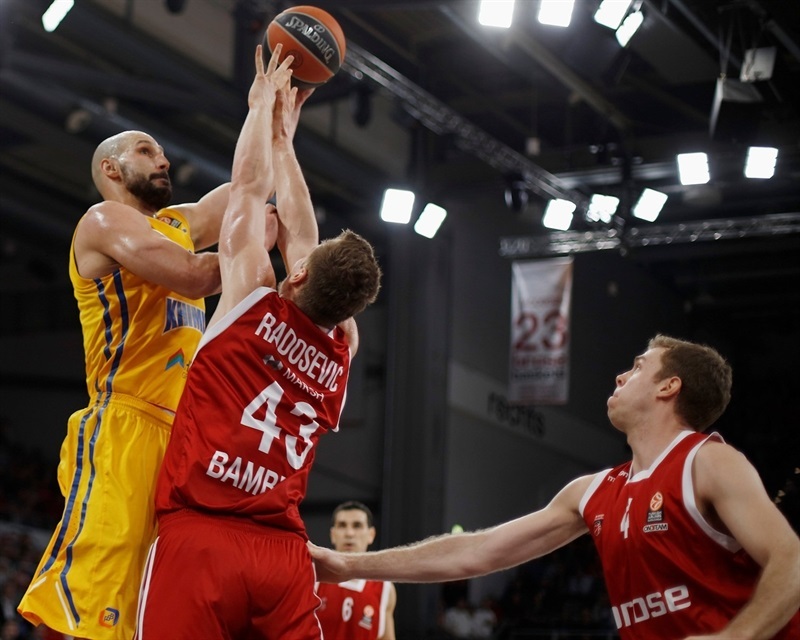 Both teams now have 5-6 records and a share of the fifth place in Group F. Khimki, under new head coach Dusko Ivanovic, controlled things for most of the night, as Bamberg led only twice in the first 36 minutes. But the visitors never had lead bigger than 63-71 midway through the fourth quarter. That's when Wanamaker blasted off, fueling a 13-0 that gave Bamberg lead for good. 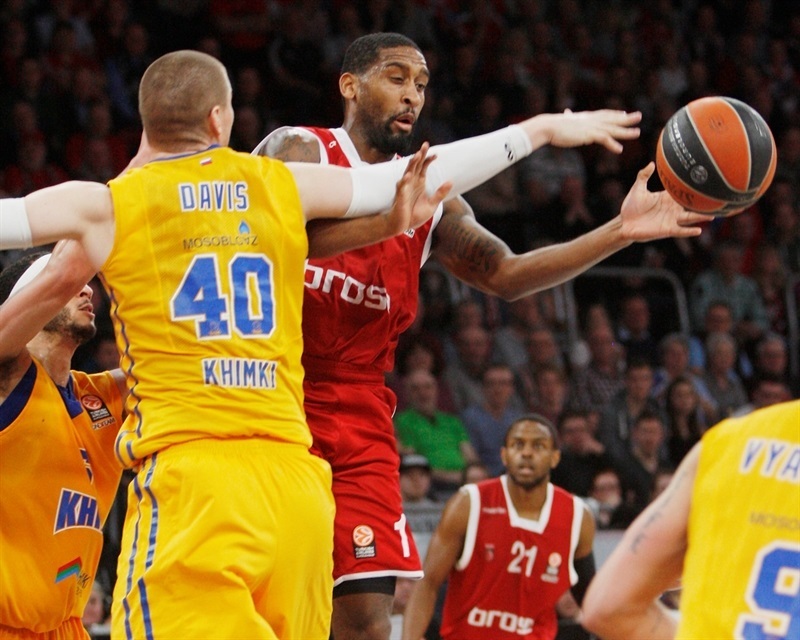 He also scored his team’s final 13 points to deliver Bamberg victory. Wanamaker also pulled down 7 rebounds and dished 5 assists, but before he single-handedly decided the game, Bamberg was kept in it by big man Leon Raodosevic, who scored 18 points, and Nikos Zisis who in his 250th Euroleague game collected 16 points and 8 assists. 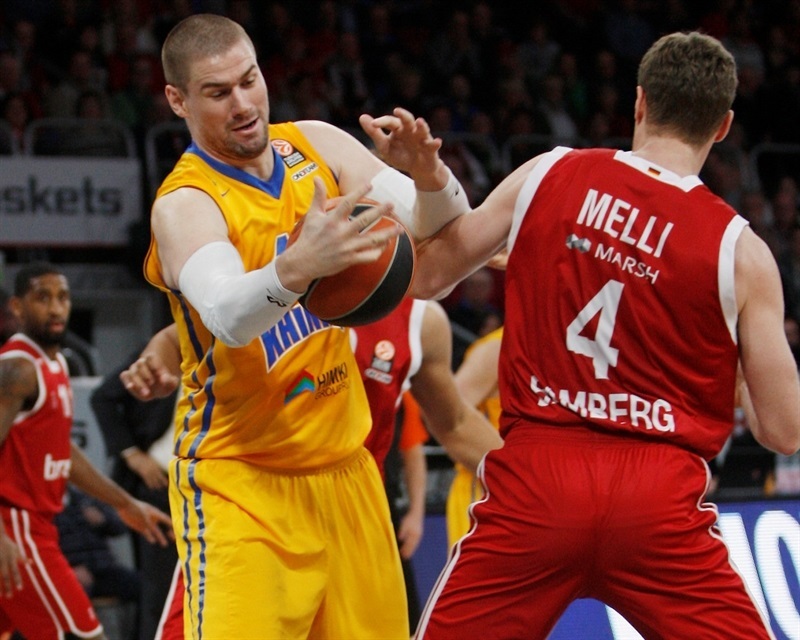 Nicolo Melli collected 7 points and 13 rebounds in the winning effort. 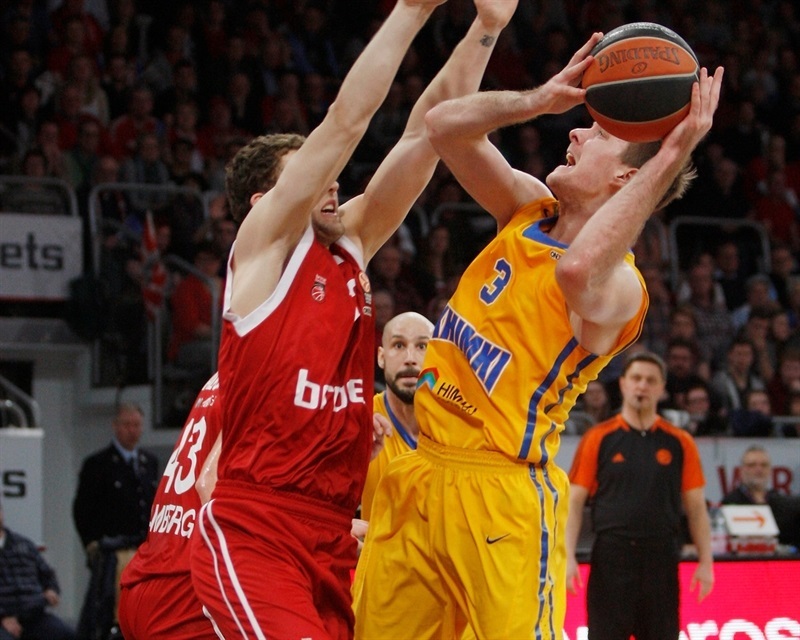 Khimki, which is 0-5 on the road in Top 16, had Alexey Shved and Zoran Dragic score 14 apiece. James Augustine and Paul Davis each scored 10, while Tyrese Rice had 11 assists along with 9 points. Elias Harris opened the scoring for Bamberg with a baseline jumper, but Davis bettered it with a triple on the other end for Khimki. Tyler Honeycutt dished a pass in-stride to Shved for a visitors’ dunk before Patrick Heckmann scored inside for Bamberg and 6-5. 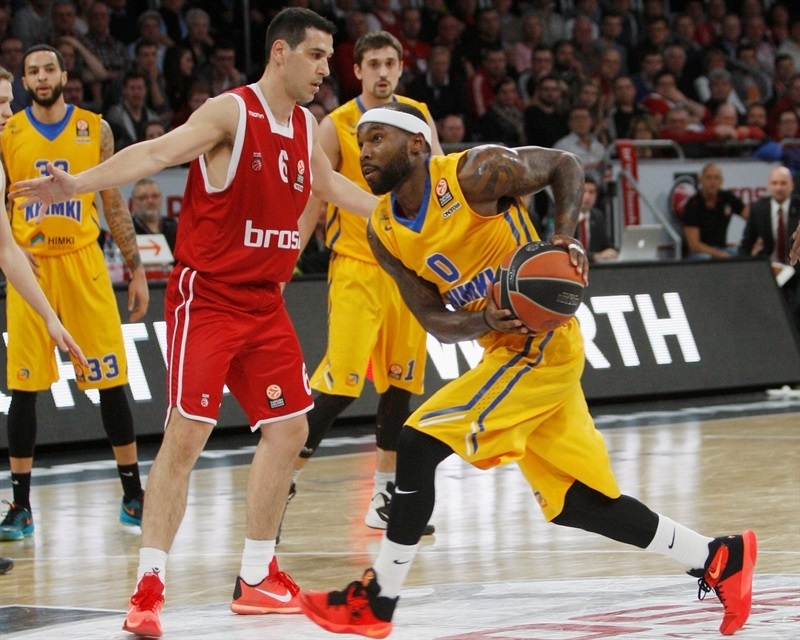 Tyrese Rice made a floater and Josh Boone scored inside to put Khimki up. Radosevic and Zisis tied the game at 9-9 from free throw line. Dragic drove for a layup, but Melli hit a turnaround jumper for the hosts. Khimki went in front again with Rice making a runner and Shved driving a baseline for a layup. After a Bamberg timeout, Augustine was a beneficiary of Khimki's good ball movement and finished with a dunk to open an 11-17 lead. Before the quarter could end, Radosevic had a three-point play and a put-back dunk to get Bamberg within 16-17 after 10 minutes. Wanamaker went coast-to-coast for a layup and 18-17 Bamberg lead to start the second quarter. Dragic hit a triple and Boone a long jumper to put Khimki back in front. Melli, who was dominating the boards, answered with a three-pointer, but Augustine scored inside and Dragic downed a fastbreak layup at 21-26. Wanamaker replied with a triple, but after Boone and Radosevic traded baskets inside, Shved made a backdoor cut for a layup to make it 28-30. Rice hit a triple on one end, but Wanamaker followed with a driving dunk on the other. Davis scored inside for Khimki, but Zisis hit a jumper then fed Radosevic for an alley-oop layup and a 34-35 Khimki lead. Davis answered with a three-point play, while Zisis made foul shots and Melli grabbed his 10th rebound and assisted Harris to tie it up, 38-38. In the final minute of the half, Davis and Janis Strelnieks traded easy layups as teams were locked at 40-40 going to the half. Shved and Sergey Monia ht back-to-back triples before Rice fed Augustine for an easy layup as Khimki busted out to a 40-48 lead after the break. After a Bamberg timeout, Radosevic scored from close range. Petteri Koponen nailed one from downtown for the visitors, but Zisis fed Radosevic for another layup, then drained a step-back three-pointer himself, helping close the gap to 49-51. Dragic then hit from long range for Khimki, but free throws from Daniel Theis and a layup from Strelnieks got the hosts within 53-54. 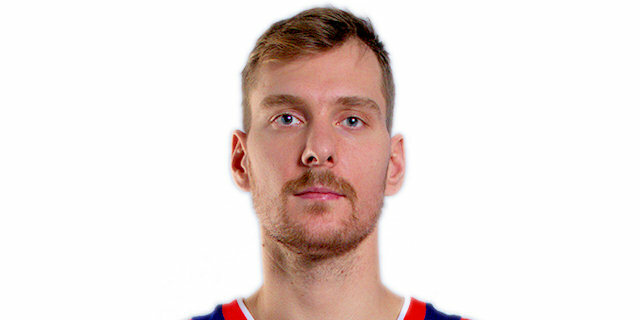 A triple from Theis tied it at 56-56, but Khimki needed less than 60 seconds to put together a 0-8 run during which Boone nailed a long jumper, Shved drove for a layup, and Dragic scored two baskets to make it 56-64 after three quarters. The teams went scoreless for more than 2 minutes of the final quarter before Zisis fed Radosevic for a layup, and then Radosevic assisted Zisis for a three-pointer. A fastbreak slam by Radosevic cut the difference to 63-64. 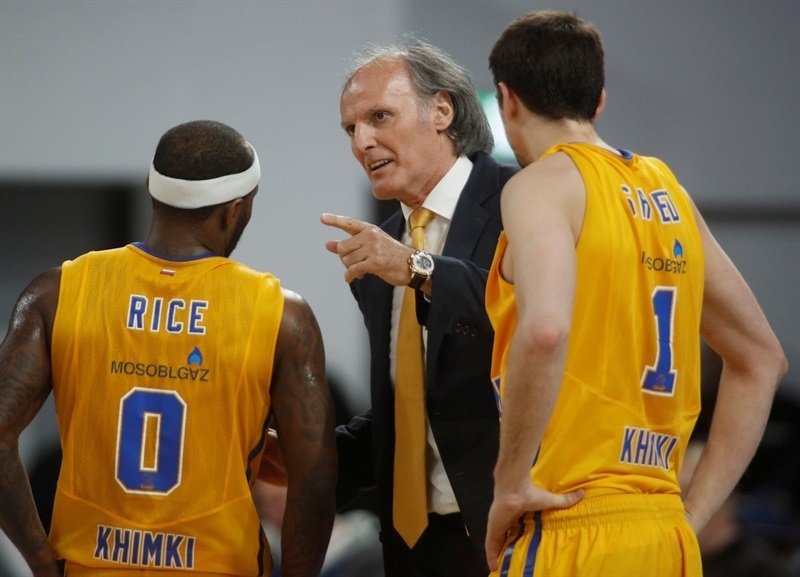 After a Khimki timeout, Shved hit a triple and Rice made a tough floater to open another gap, 63-69. 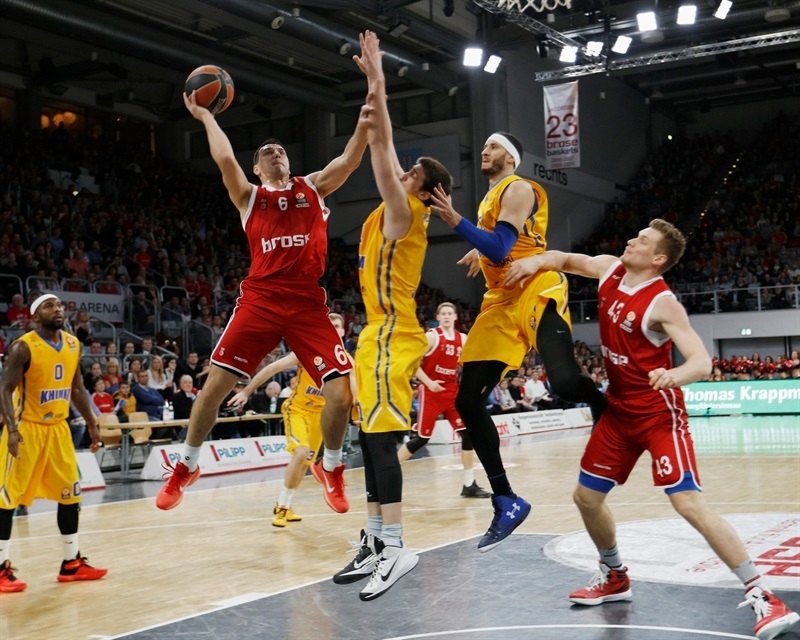 Egor Vylatsev extended the lead with a pair of free throws, but Wanamaker had a tough basket inside, then a three-point play on a fastbreak to get Bamberg to 68-71. 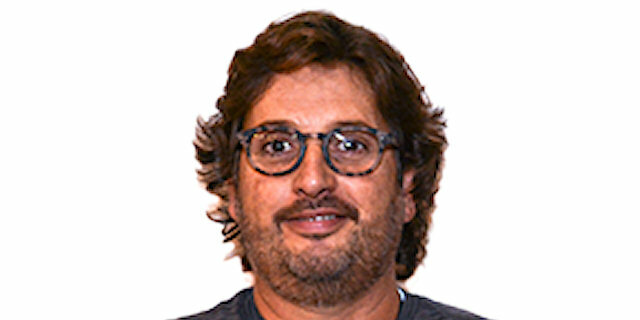 A three from Zisis forged a new tie at 71-71 before Wanamaker scored a fastbreak layup, then a monster dunk and free throw to put Bamberg up 76-71 with 2:40 to play. Augustine snapped Bamberg's 13-0 run with a layup, but Wanamaker hit a long second chance jumper, then made a pair of foul shots at 80-73. Koponen kept Khimki in it with a three-pointer, and after Wanamaker banked in a floater, Koponen’s three-point play cut it to 82-79. Bamberg got 15 seconds off the clock and - who else? 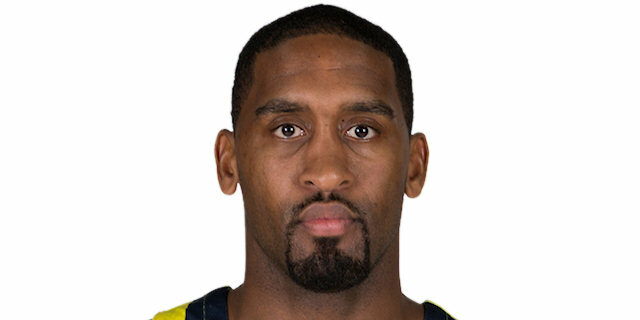 - Wanamaker made 2 foul shots to seal the deal. "We were in trouble. We never, ever quit. And the most important thing is we found a way to win this game – not in a common way, the way we usually do. Khimki came here and played a great game, very physical. They disrupted our offense. But never underestimate the heart of a champion. Brad is a unique guy. 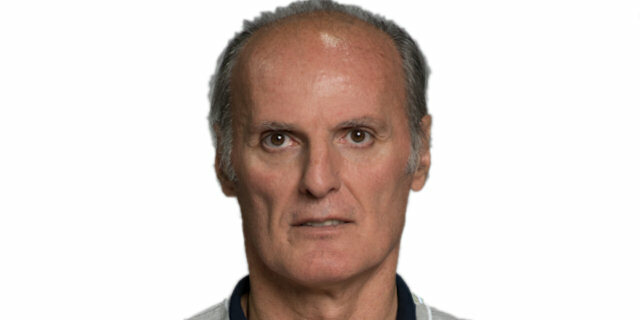 He was cut two times in second division in Italy. And he's growing and improving like our team is improving. I believe he played bad for 34 minutes but, again, never underestimate the heart of a champion." "I think the game was decided in the last five minutes. We started the game good and played the first 35 minutes with patience, with correct defense. In the last five minutes we had physical problems, I think. I don't really know the reason. But Brose Baskets made a run and hit easy baskets. And we had a problem with the last five minutes of this game." "I was in a rhythm and had it going. My teammates just kept getting me the ball. We played great defense though. And we started pushing the ball going in transition. Any time you play against a team with this talent it's very difficult. We came out and just had to fight. If we want to survive and advance we had to win this game. We had a mindset of one game at a time. We did our job tonight and now we have to worry about the next one." "The game was very tough for us. We started really well for the first half. In the third quarter we had the game in our hands. We were up three times by eight points but then like always happens with our team we lost focus and Brose Baskets out-ran us in the fourth quarter and made an 11-0 run and it was tough to get back with that kind of defense."